mmmm plums. 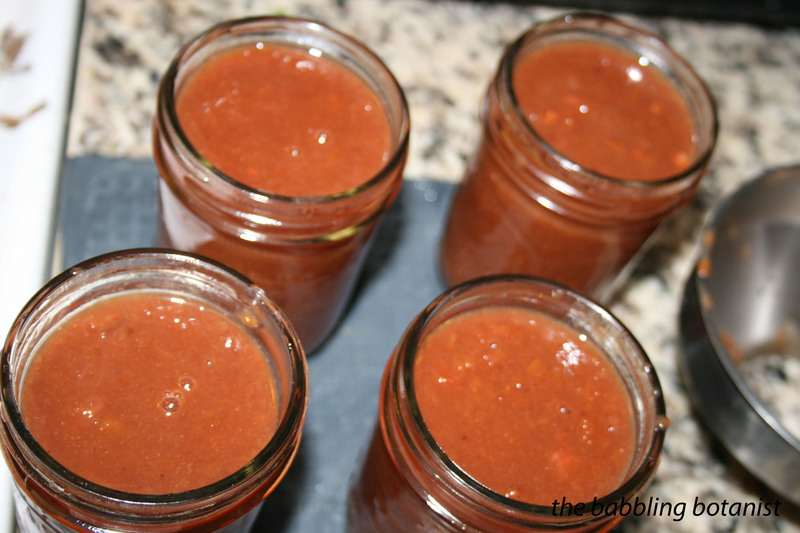 Last year I posted another plum sauce recipe, which was also delicious, but keeping with my desire to make every recipe from the Ball Complete Book of Home Preserving, I decided to try their recipe this year. The only thing I changed from what’s in Ball is to add allspice, and remove some of the sugar. 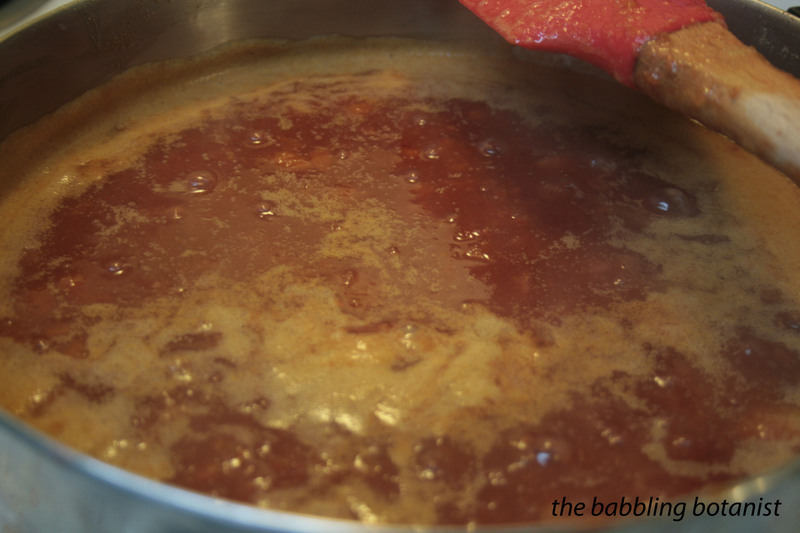 Make it with a mix of plum varieties for extra fun sauce! Dice the plums, pepper, onions, ginger, and garlic finely and combine everything except the plums in a large pot and bring to a boil. I thought 3 total cups of sugar sounded like too much, so left out the white sugar and decided I’d taste it and add in later if I wanted it sweeter. I didn’t end up adding in though, it’s plenty tasty without, so consider reducing it if you want a less sweet sauce; Ball tends to make things quite sweet. 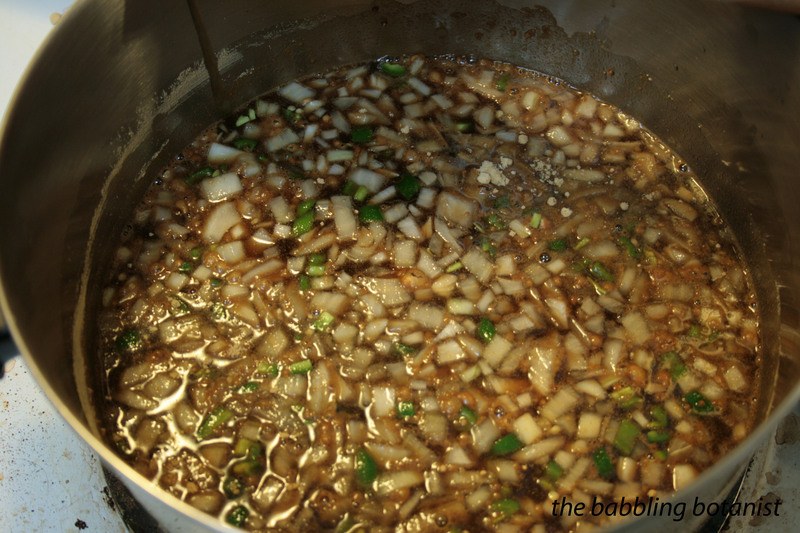 Add the diced plums and return to a boil. 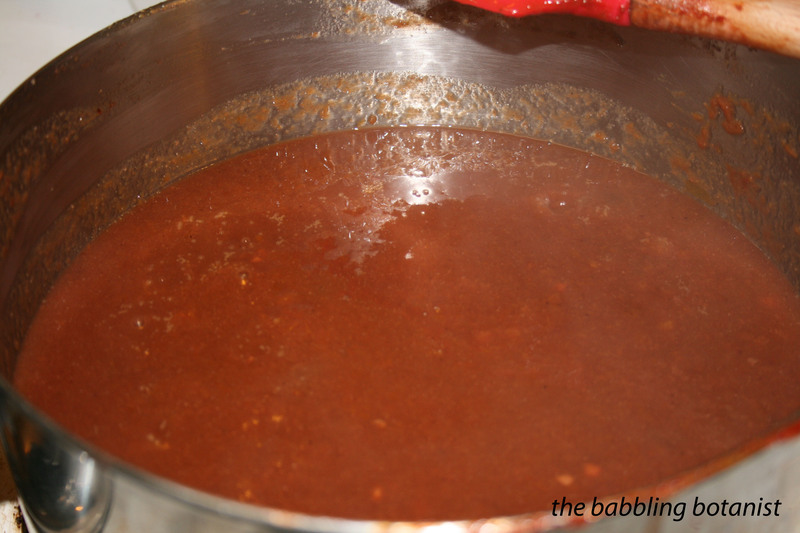 Reduce heat and continue to simmer for a few hours, until it reaches a good plum sauce consistency. 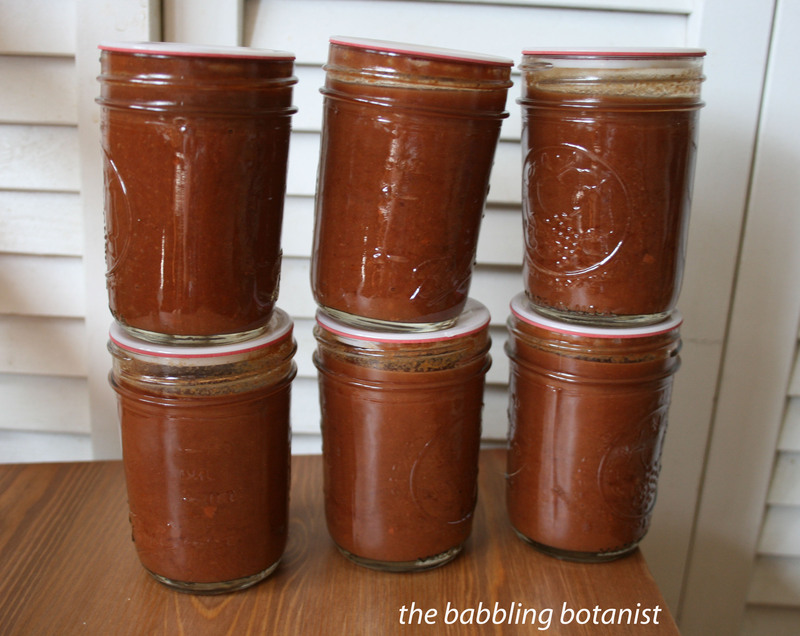 When you are getting close, prepare 4 pint jars, or 8 half pints. Here it is reduced by about half, a few hours later. Fill hot jars, leaving a half inch head space. Wipe rims, apply lids, and tighten finger tip tight. Process in a boiling water bath canner, covered by at least 1-2 inches of water, for 20 minutes. After 20 minutes, turn off heat, remove canner lid, wait 5 minutes, and remove jars to a hot pad or towel. Cool, check seals, label, and store. I agree, Ball tends to go heavy on the sugar, but in addition to acting as a preservative, sugar actually helps keep the sweetness of the fruit flavor in tact, which can get boiled away in the preserving process. What would you serve this sauce with? That’s true yes, but I still think 3 cups is too much for my taste. Removing sugar altogether would certainly give an inferior product, but this reduction tasted really good to me. So far I’ve used it in a chicken, rice, veggie stir fry and and as a chicken nugget type dipping sauce.